We encourage you to browse our site for information on special travel deals which we offer from time to time. We value your business and will work to seek the most appropriate travel product to suit your needs. MPCS is eager to respond to all your travel questions inquiries and will research thousands of travel sites until we find you the best deal. 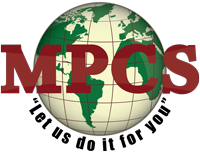 Why waste time on searching websites for travel deals when our experts at MPCS can do it for you? We are available 24 hours to cater to your travel needs. If you are unable to contact us by phone, feel free to send us an email and “let us do it for you”.